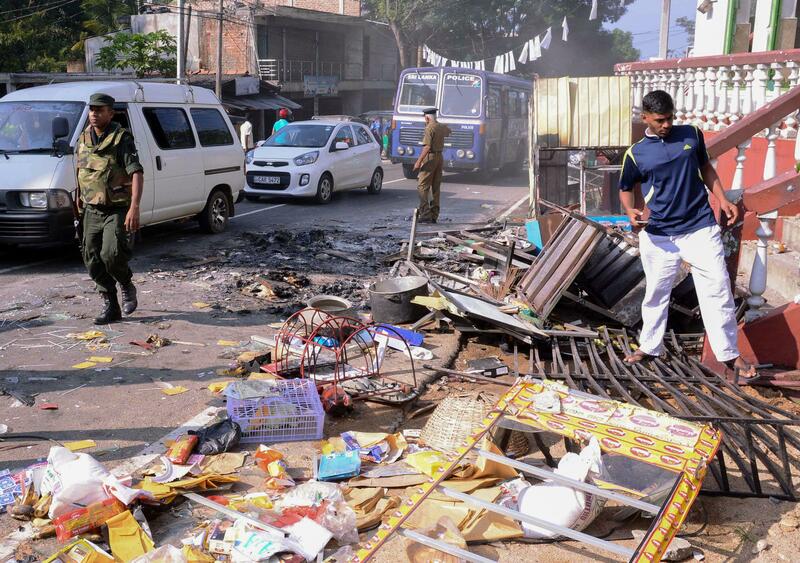 MULLEGAMA, Sri Lanka -- Religious violence flared anew in the hills of central Sri Lanka on Wednesday despite a state of emergency, with Buddhist mobs sweeping through towns and villages, burning Muslim homes and businesses and leaving victims barricaded inside mosques. The government ordered popular social media networks blocked in an attempt to stop the violence from spreading, and thousands of police and soldiers spread out across the worst-hit areas. One Sinhala Buddhist man who was part of the attack died in an explosion and another man was injured, police guarding the area said. A local Buddhist man said the Muslims were using improvised explosives, which the men in the mosque denied.